Anyone who knows me, knows that I love to watch people. Family members would get upset with me and accuse me of being nosy and not minding my own business. People fascinate me. They seem to tell stories by what they are doing, where they are going, and who they are talking to. From this favorite past time of mine and by staying in Gratitude throughout my day, I seemed to have attracted Earth Angels. Every day people doing wonderful things that affect the people around them. People just going through their day, doing what they love, and still making a difference to one or maybe thousands of people. Sometimes they are simply sharing their stories by writing about them or speaking about them. Stories about what they have come to learn and how they have helped others. Maybe they are just doing their job and don’t realize they may have changed a person’s day. Maybe they love to just give their time and energy to a charity or a cause that affects humanity, the animals, and the planet. I started writing about some of the events I found myself in the middle of, read about, saw on TV or a movie, or was told about. Every one of the Angels I write about have affected me in one way or another. I love to share these stories with my friends and family. Many of my friends and family were and still are some of the most amazing Angels I write about. 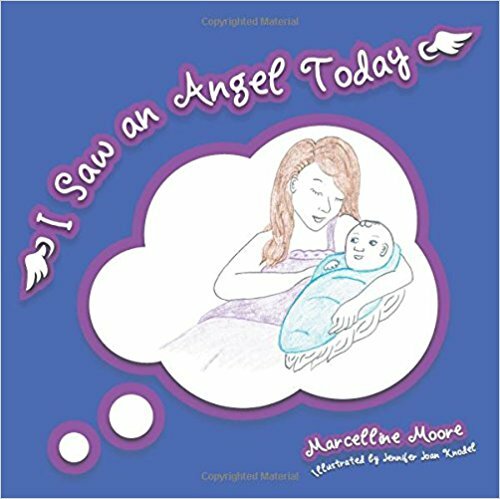 I then decided to put together a Children’s book to honor and thank the Angels that helped me raise my children. Meanwhile I was still writing about Angels as often as I could. My Mother passed away unexpectedly in her sleep, almost two years ago. She always wanted to be a published writer and she was working on three stories when she passed. She was finished one book, but she had no clue how to get it published. This is what motivated me to get going on my own dream of publishing something that might make a difference in someone’s life. I had no clue what that would be until I realized that some of my Angel stories were worth sharing. I started making some enquires and doing some searches on the internet. I put the dream aside until I got a call one morning from one of my favorite publishers. It was so weird that I was talking to the self publishing division of Hay House. I am only one of Louise Hay’s biggest fans, and have loved her books, her company, and her amazing story for as long as I can remember. I spoke to the lady at Balboa Press for quite a long time and learned everything I needed to know about self publishing. She directed me to the website and I spent the next few days studying about how- to self publish and how it could lead to something bigger. I just wanted to get my stories printed. It all seemed so easy as I sat down and started thinking about the people who came into my children’s lives and how they helped me raise them. I then thought that I would need some colorful pictures to go with these little stories. I enlisted the help of my little sister and together we created the children’s book. It was fun and exciting, and it helped me learn first hand about self publishing. The day arrived when I was holding this little book in my hand. Mine and my sister’s name on the front. Our picture on the back. The pictures my sister lovingly created throughout. I had done it. We had done it. I was more determined and driven to complete the adult book. I had 9 sections of different Angels and I wanted 15 Angels per section. I am not at all sure why, but that was the goal. It is now complete. I finished it about two weeks ago. Of all the things I have learned along the way, this page you are reading is part of it. 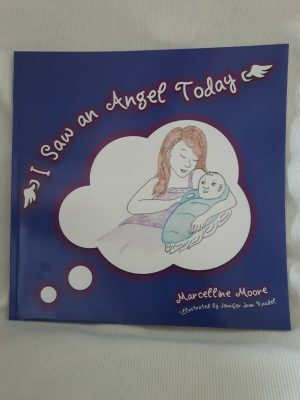 I am working hard to build a platform and to reach as many people I can with this book of Angels. I am proud of my creation and where it may go. It is like having a third child, with a life of its own. I hope I raise this one as well as I tried to do with my human babies. I hope that it makes a few people smile and maybe even let go of a few tears. I had many days of tears throughout the process as I wrote from my heart. I look forward to hearing some of the stories that come from people reading I Saw and Angel Today.